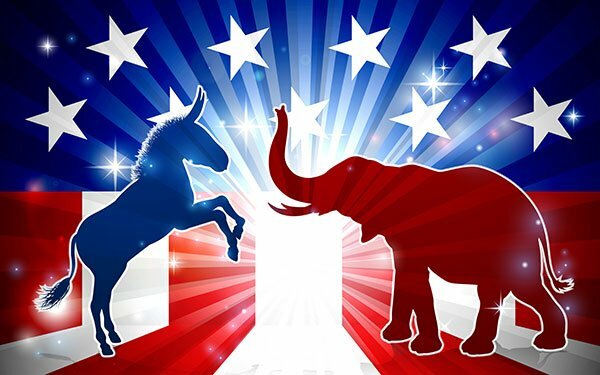 Next year’s big midterm political election will see a small increase from four years ago, partly due to lower digital media and cable TV advertising unit prices on political commercials. Borrell Associates is forecasting an $8.5 billion political advertising market -- a 2.5% hike over 2014. For 2017 -- an odd-numbered year that typically sees low levels of political advertising spend -- Borrell says total estimates will end up at $4.9 billion spent on candidates and overall political advertising activity. “We’ve seen an upward spiral” in these types of political years, Borrell says. Broadcast TV for political advertising this year will be $1.9 billion; cable TV, $607 million; digital media, $500 million; telemarketing, $452 million; newspapers, $435 million; radio, $400 million; out of home, $324 million; and direct mail, $260 million. The biggest share of political activity this year came from super PACs, commanding $3.31 billion of the $4.97 billion spent -- 67% of all political advertising.